These crucial skills can be applied in the direct threat, indirect threat, and evacuation phases of care. Students will participatein scenarios using marking cartridges on day three. Please refer the required equipment listed below. INSTRUCTORS: Brendalyn "Val" Bilotti RN, BS, CQM, CHV-IV, CHSEMR, CRC. Ms. Bilotti is a credentialed California educator with the Alameda County Sheriff's Office Regional Training Center. Ms. Bilotti is a graduate of the the POST Master Instructor Certification Course and is a Master Instructor. Ms. Bilotti has served as the Medical Branch Chief for Urban Shield since 2007 and is responsible for all real world medical and tactical medical support functions of this Full Scale Exercise. Ms. Bilotti is a recognized leader in TEMS education and is responsible for the progressive medical curriculum offered by the Regional Training Center. Ms. Bilotti combines military medical experience with over thirty years of homeland security service to address the educational demands of California law enforcement, first responders, and emergency personnel. Ms. Bilotti will be assisted in facilitating this course by Subject Matter Experts in the medical/law enforcement field. PREREQUISITES: Must be a full-time/reserve peace officer. All students who are not members of the Alameda County Sheriffs Office must sign a liability waiver. P RESENTATIONS DATES, HOURS: This is an 24-hour course that starts at 0800 each day. REQUIRED EQUIPMENT: Students will need the following equipment: Utility/BDU-type uniform with a long sleeve shirt, boots, duty belt/load bearing equipment, handheld flashlight, body armor/tactical vest, and wrap-around eye protection, and if the student desires personal groin protection, for use in marking cartridge scenarios. Students should bring IFAK or medical equipment they are issued or utilize. No blue jeans/denim pants, or red hats allowed. A hydration system, knee and elbow pads, and sun screen are highly recommended. It is also recommended that students bring any specialized equipment they use in the execution of their duties. No firearms are needed for this course. 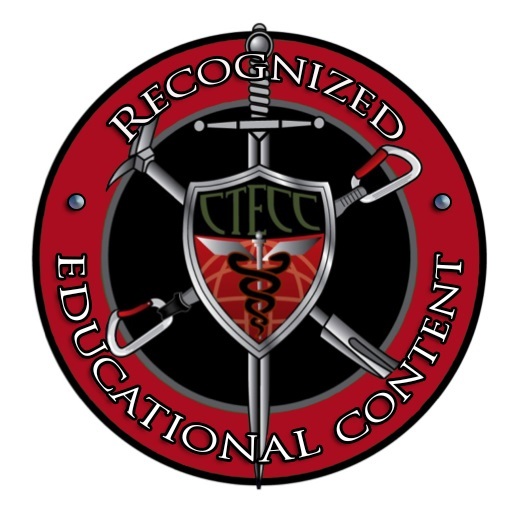 "This is the best & most thorough course that exists for anyone who is in Law Enforcement & who is not a combat medic." "This course should be mandatory for LEO’s. The skills in Hemorrhage Control, sucking chest wounds and casualty movement will be utilized in the field." "This training is critical for any and all first responders. It could and will save a citizen's life, your partner's, or your own." "Great class. I think every officer should take it to see the importance of how to care for yourself and partners." "This class was extremely thorough and very well organized. The instructors were exceptionally qualified and a blast to work with." RESERVATIONS: This course is limited to 24 students and reservations will be made on a first come, first served basis. Use the "Register for Class" link to submit reservations on-line. If you need information please call Melisa Tolero at (925) 551-6970 .